Do you remember hearing about the old Auto-mats in NYC around 1900-1970? That was Baker Sandy’s inspiration! This location will feature our same, fresh baked daily pies in the convenience of a self-serve vending machine. That’s right! You will be able to run in and grab your favorites and be in and out in minutes. We will be testing this new concept out on you, our valued pie lovers, so be sure to stop in later this month/early March and try it out. We will be looking for your feedback and ideas to make the new concept a flying success! We will still be baking your favorite fresh baked, butter crust pies every morning at our Kalaheo bakery location, but instead of delivering them to Rhonda at the Harbor Mall store, we will be delivering them to our new Slice Devices. The Slice Device will feature all of your TRS favorites and a few fun new items. Slices, whole baby pies, Menehune pie bites and pot pies will still be available. Grab and go at your convenience. We think you are going to love it! This is our trial run, so we hope you will give it a try and share your feedback with us. There will be a few items currently available that will not be available in our first-generation Slice Devices, but Baker Sandy is on the prowl for machines that will suit all of your needs. For the meantime, we will not have baked pot pies or frozen whole pies…but trust me, she’s got the ideas a rolling! So…watch for more details as we get closer to the unveiling of the Pie on the Fly space at Harbor Mall and be sure to stop in later this month to introduce yourself to our Slice Devices! 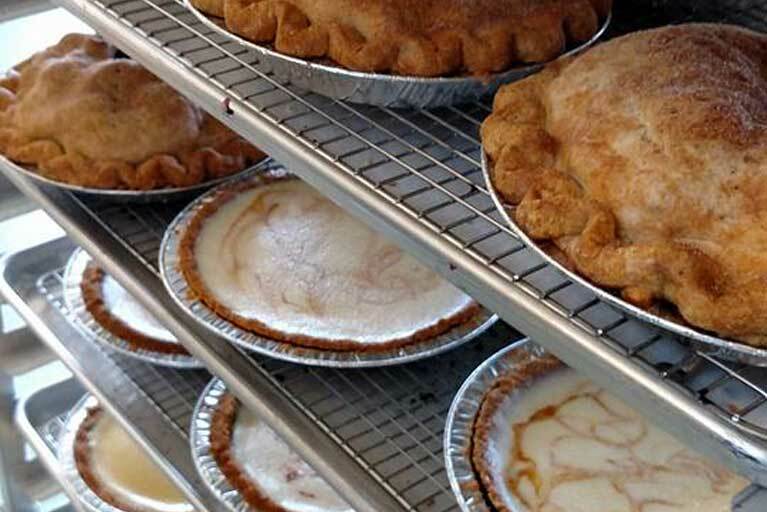 Mahalos as always, for your pie loving support!